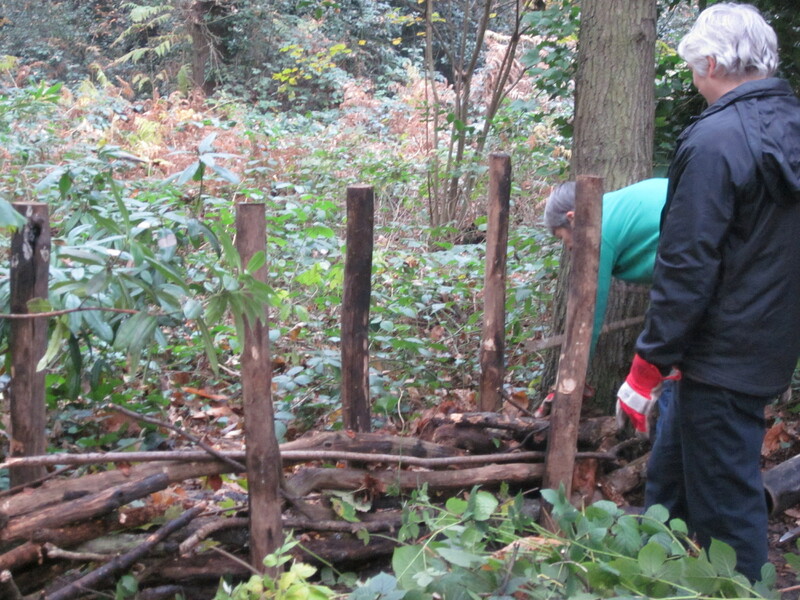 Over the last two weeks a very hardy bunch of Nature’s Gym volunteers have been working at Beckenham Place Park to continue with their project of creating dead hedges. These hedges not only make use of cut bramble and sycamore, but they can also make great wildlife habitats for a number of insects. We were careful not to use any established dead wood piles because there were probably already habitats in their own right. The earliest record of a hedge in England dates from 547 AD. This first recorded hedge was in fact a dead hedge. This ‘dead hedge’ was constructed from cut branches, woven between stakes pushed into the ground (just like we do today). This type of ‘dead hedge’ would gradually have been colonised by live shrubs to form a hedge as we know it today. A dead hedge is a barrier made from cut branches and foliage. They are very useful habitats because they provide shelter for small animals and birds. 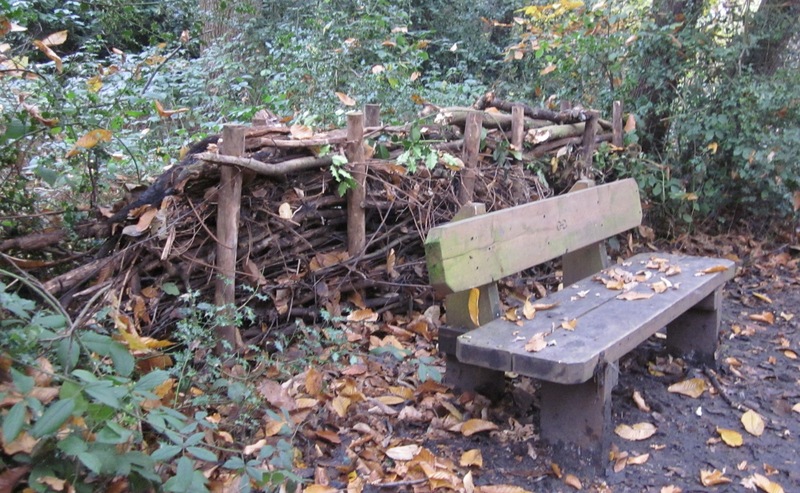 They also provide a suitable habitats for saprophytic fungi to grow They are very easy to create and there are a number of variations of how they can be done, but the outcome can still look fantastic. Our approach is to create two staggered lines of vertically driven stakes – and then to fill the space between these two lines with horizontally placed cut material – the long bits of material can be weaved in between the steaks (see above). Over time the material in the hedge breaks down and sinks, so there are always more cuttings to add. This is probably the only maintenance that you will have to do, so they are very simple to construct and maintain. If you have any examples of your own ‘dead hedge’ work, please feel free to email them to us and we can feature them here! Be sure to remember to tell us where you put them!